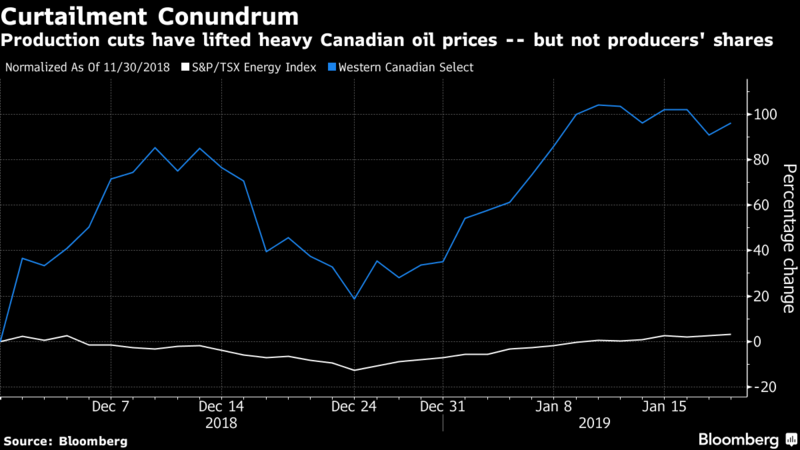 Since the production curtailment was unveiled early last month, Western Canadian Select crude has almost doubled to about US$43 a barrel, narrowing its discount to benchmark U.S. oil to an almost decade-low of US$6.95 a barrel on Jan. 11. Yet in that same time, the S&P/TSX Energy Index is up less than 4 per cent. Driving the stagnant performance are the forced cuts in output among the larger producers as well as a series of conservative moves by smaller drillers who are less affected by the program. Overall, the industry is dialing back spending and waiting for better days -- a strategy that analysts have lauded as prudent but that investors have found less than compelling. The frugality has even spread beyond the oil industry to gas producers, much of whose output goes to fuel oil-sands operations. Peyto Exploration & Development Corp. last week set a capital budget of $150 million to $200 million for the year, down $100 million from the forecast it gave in November, and cut its dividend. The message that companies are sending to investors is that they don’t have confidence that the long-term problems the industry is facing -- such as the inability to get new pipelines built -- will be fixed, Lau said. 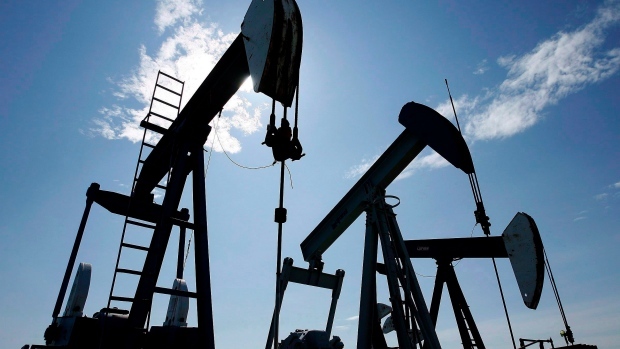 And even though the curtailment program is achieving its goal of boosting Canadian crude prices, the fact that it was even needed sends a negative signal to investors, she said.